This garage door project was pretty unique in that it wasn't just about replacing the garage doors, but to also replace the brickwork that separated the two garage doors after the customer had accidentally crashed their car and knocked some of the brickwork out. We were tasked to replace the brickwork and the two garage doors along with repairing in this Sheffield home. Check out the images below of the work carried out. 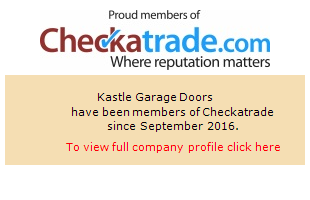 If you are looking for garage door repairs or installation in Sheffield then get in touch with us for a free no obligation quote.